CDM is a four-day symposium focused on providing a clinical update for the practicing clinician in emergency medicine. The LLSA review is designed to ensure passage of the LLSA by using an audience response system and the actual questions from the exam. The format for the conference is case-based with questions that highlight the main teaching points of the session, followed by a discussion of the main diagnostic and management issues related to the case, and ending with a focused discussion of the case’s outcome. New at the conference this year, 4 additional stroke credits and 4.5 additional pain management credits are included with the program. After attending the 1.5-hour session on stroke, attendees will be given online access to EB Medicine's Stroke Extra!,and can earn 4 stroke credits after completing the online CME test. Additionally, after attending the 1.5-hour session on pain management, attendees will be given online access to EB Medicine’s Acute Traumatic Pain Management in the Emergency Department special report, and can earn 4.5 pain management credits after completing the online CME test. There is no extra cost to the attendee and this is included in the program. Instructions on how to access the additional content will be provided at the conference. The conference courses will summarize the information in EB Medicine’s courses to provide you with the tools to pass the online CME test and earn the additional credits. Clinical Decision Making in Emergency Medicine is designed to update emergency clinicians on the most high-yield topics, guidelines and core competencies that are needed to ensure quality care. The conference will close gaps that affect practitioners’ ability to provide efficient, cutting-edge care to a diverse range of patients who present to the Emergency Department. Review trends, concerns, and updates in prehospital care, paramedicine, dermatological conditions, and pediatric sedation and analgesia. Identify data in the current literature regarding stroke concepts, controversies, and advances. Discuss management of geriatric and obese trauma patients, manage acute pain in trauma as well as ballistic injuries, assess and manage traumatic sports injuries, and identify steps to mitigate risk in trauma malpractice. Analyze best practices in the ED with regard to cardiopulmonary emergencies and sports medicine. Discuss management of critical care conditions, including sepsis, acute pulmonary embolism, airway, and fluid resuscitation with ultrasound guidance. Review the elements affecting practice improvement and risk management. The conference is designed for Emergency Physicians, Physicians in primary care, Nurse Practitioners and Physician Assistants working in ambulatory and emergent care settings. Just the mere mention of the Ponte Vedra Inn & Club conjures up images of quiet opulence, of grace, of stateliness and history. 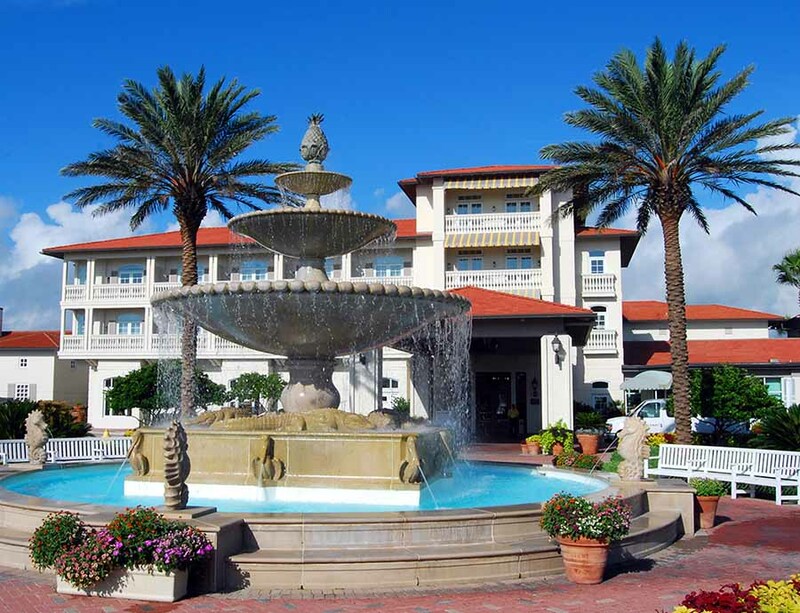 A Florida landmark since its celebrated opening in 1928, this 300 acre oceanfront beach resort located in fashionable Ponte Vedra Beach, Florida is a perfect refuge for recreation, relaxation, romance, and reflection. Three generations of guests have been indulged in a world of deluxe accommodations, fine cuisine, top recreation, and the finest in classical service at the premier resort in Florida. Ponte Vedra Inn & Club, as well as The Lodge & Club, complete the luxury vacation destination known as Ponte Vedra Beach Resorts. The resorts feature access to picturesque beaches, luxury amenities, premier Florida golf courses, Florida spa resort facilities, proximity to Jacksonville, wedding and Florida conference facilities, as well as lodging accommodations ranging from affordable to luxury. Experience the Inn & Club Today!